Forty years ago, a terrifying film burst from the mind of Ridley Scott, “xeno-morphing” into one of the most iconic franchises of all time. From the first menacing Chestburster shock to the last acid-drooling extraterrestrial kill, ALIEN became the definitive sci-fi horror film, winning fans, critics, and an Academy Award® along the way. To commemorate the 40th Anniversary of the film that spawned a global franchise of record-breaking hit movies, video games, graphic novels, consumer products, and more, 20th Century Fox launched an otherworldly tribute with thrilling new stories, exclusive exhibits, and other one-of-a-kind experiences for fans. Culminating on April 26th, ALIEN DAY devotees will rally for the fourth year in a row for 24 hours of worldwide fanfare. Fans eager to participate early can share their own personal memories or recreations of their favourite moments for a chance to become part of the 40 Year legacy! Click HERE for more information. Over the next two weeks, fans can continue to experience the Alien 40th Anniversary Shorts, a series of frightening new narratives from six emerging filmmakers selected from over 550 entries through a 20th Century Fox partnership with creator community Tongal. These terrifying tales have been shocking viewers on IGN since the first short debuted on March 29th, and the final two thrillers will be unearthed on ALIEN DAY, April 26th. The short films will also be added onto the iTunes extra features. Night Shift – Written and directed by Aidan Brezonick – When a missing space trucker is discovered hungover and disoriented, his co-worker suggests a nightcap as a remedy. Near closing time, they are reluctantly allowed inside the colony supply depot where the trucker’s condition worsens, leaving a young supply worker alone to take matters into her own hands. Specimen – Directed by Kelsey Taylor – It’s the night shift in a colony greenhouse, and Julie, a botanist, does her best to contain suspicious soil samples that have triggered her sensitive lab dog. Despite her best efforts the lab unexpectedly goes into full shutdown and she is trapped inside. Little does she know, an alien specimen has escaped the mysterious cargo, and a game of cat and mouse ensues as the creature searches for a host. 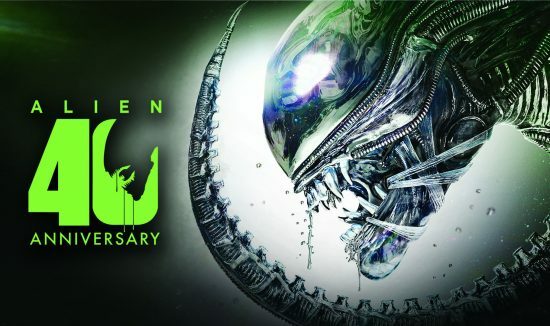 Descending into orbit on April 22nd is the ALIEN 40th ANNIVERSARY 4K ULTRA HD®, courtesy of Twentieth Century Fox Home Entertainment and available for pre-order HERE. Launching into ALIEN Day, the biggest name brands have created exclusive collections in honour of the franchise. 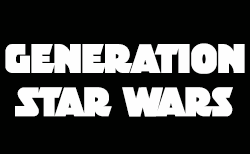 All-new figures, merchandise, apparel, publications, mobile game promotions, comics and collectibles will be unveiled from NECA, Funko, Diamond Select, Dark Horse, Audible, Weta Workshop, Zen Studios, D3 Go!, The Loyal Subjects, Upper Deck, Changes, Loot Crate, Super 7, Acme Archives, Wonderdice, Mondo, Fanattik, Pyramid America, Medicom, Sideshow, Mezco, Rubies, Gale Force Nine, and Macmillan to name a few. Highlights include a comprehensive and definitive volume on the making of ALIEN from Titan Books, a new line of Alien Pop! Figures from Funko, limited edition giclée prints from Acme Archives & Dark Ink, and a selection of apparel and merchandise sure to please the most discriminating Alien collector. A full list of what is shuttling in for Alien Day can be found HERE.